Live from Santa Monica, Amazon is holding a press conference where it's widely expected the company will announce new Kindle Fire tablets and Kindle e-readers. Bezos showing rejection letters to authors such as Stephen King, Dr. Seuss and Kathryn Stockett, author of The Help. 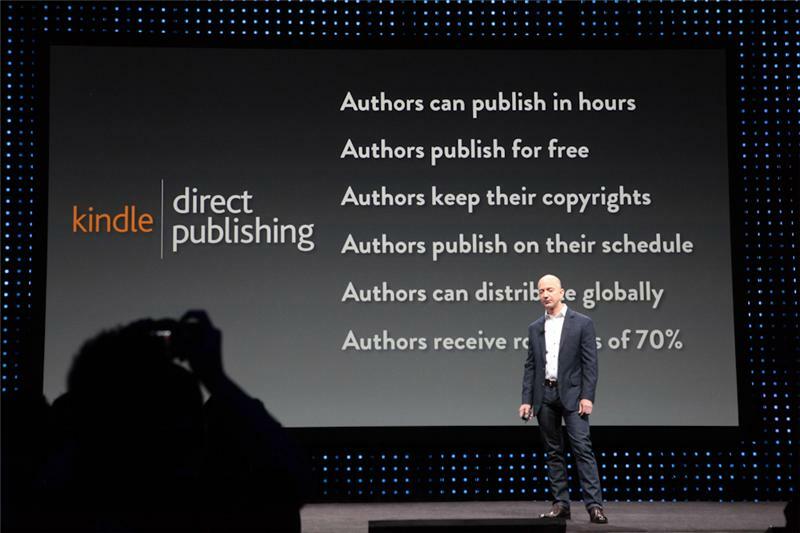 Bezos wonders how many authors stop after so many rejections. He's building toward self-publishing. Talking up Kindle Direct Publishing. Kindle direct publishing gives authors the ability to keep copyrights and reach audiences. "It's working," Bezos says. Of top 100 Kindle books 27 are self-published. The challenge of direct publishing, as a guy who's published a book, is that you lack the marketing and distribution. It makes it much harder to break through. Testimonials from popular indie authors. There are plenty of folks who try to publish books on their own and fail. Turns out editing is important. It can work. And Amazon is showing a video of author who have succeeded. But there are plenty more who don't. We will still have the problem of people "self publishing" works by just copying other people's work and publishing it. I wonder how Amazon is going to address this? One author paid cash for her kids' college tuition thanks to e-book sales. 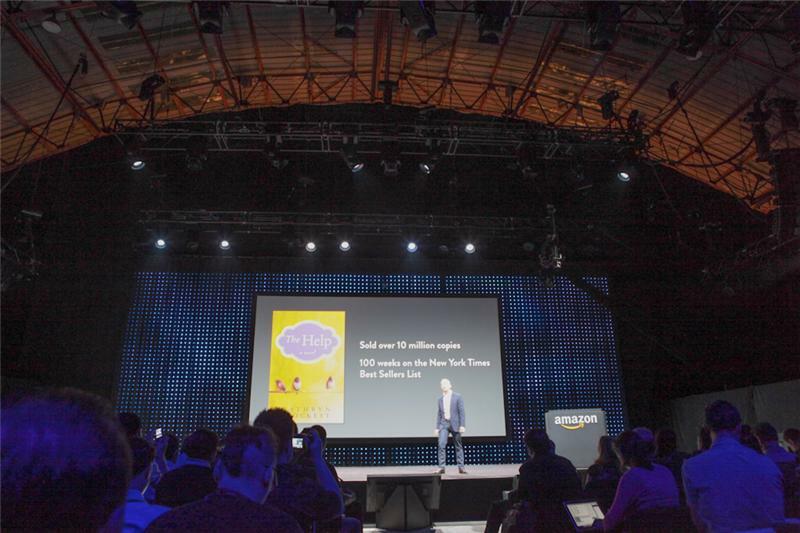 Some of the Kindle Direct Authors are in the audience, Bezos says. Now Bezos talking about Kindle Singles, writing that's between magazine articles and books. 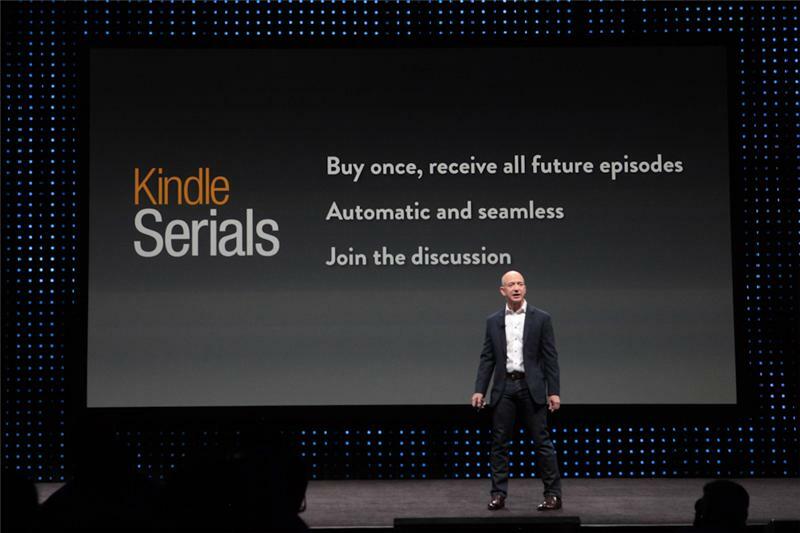 Now Bezos talking up Kindle Singles -- short "books." 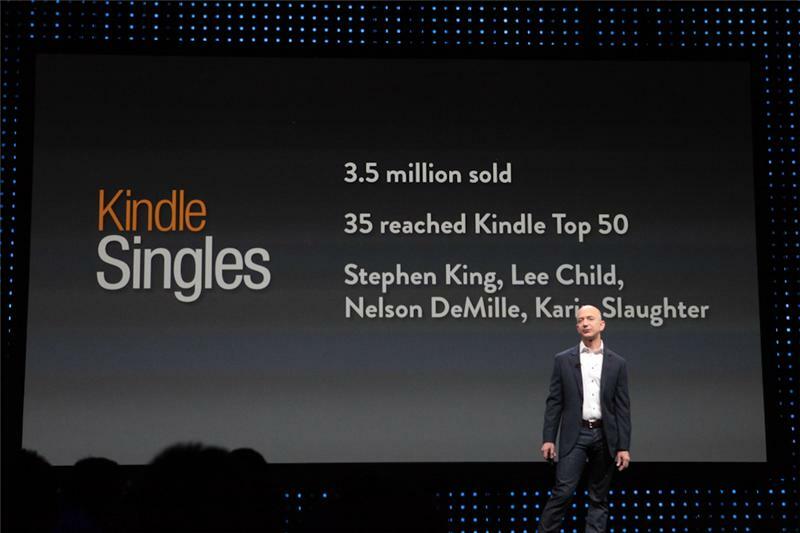 3.5 million Kindle Singles sold so far. Buy once and receive all installments of a book. Bringing serials back. Back to the future. 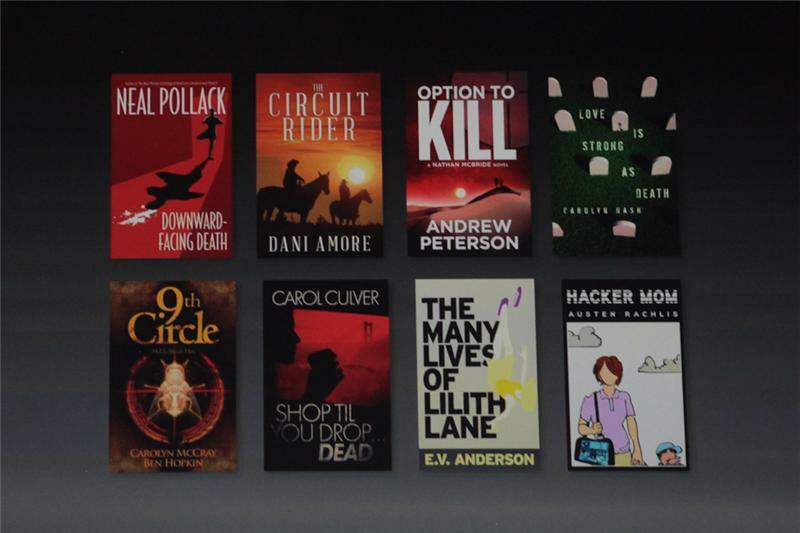 You can subscribe to an author's serial. 8 serials will be available at launch. Neal Pollack's Downward-Facing Death. "Yes, that's a yoga murder mystery." Bezos. You will be able to give authors feedback as they write. 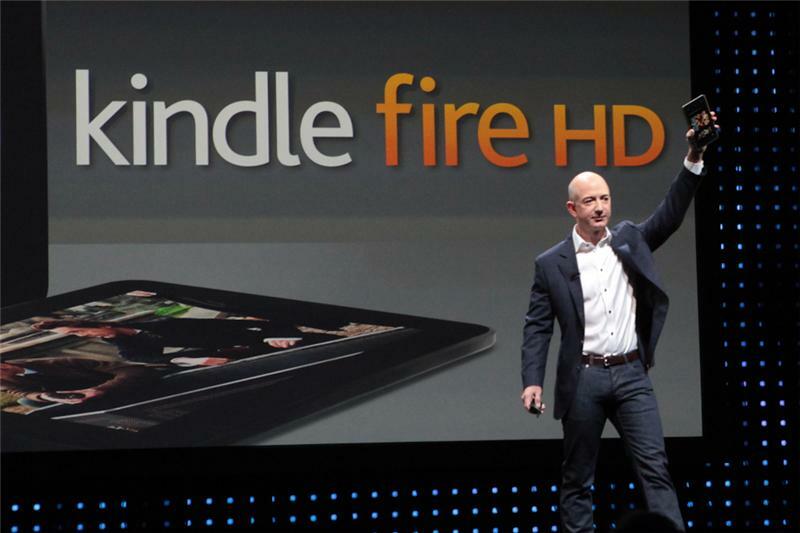 Bezos says Kindle buyers read 2.56 times as much as they used to. That stat was from 2008. Interesting fact: Bonfire of the Vanities was originally written as a serial in Rolling Stone. 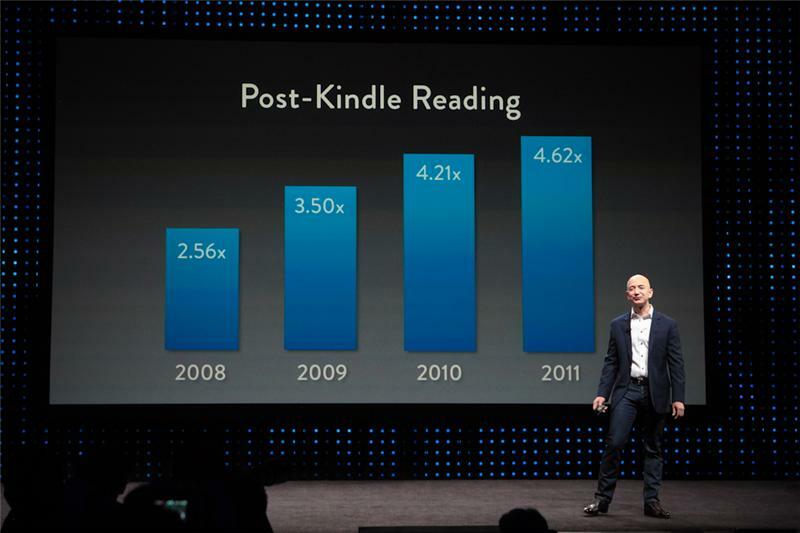 In 2011, the number jumped to 4.6 times as much reading for new Kindle customers. Here comes the Fire (s). Moving onto Kindle Fire now. 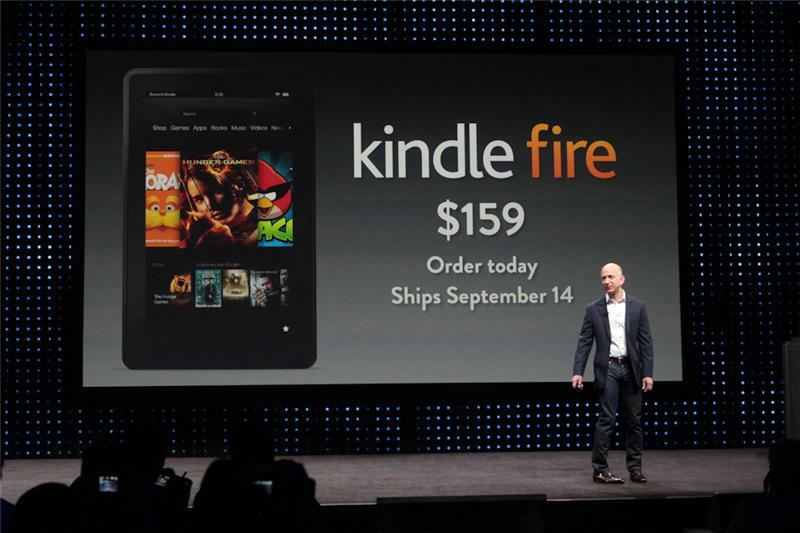 Kindle Fire is 22% of tablet sales in the US, Bezos says. Nobody would have expected that, Bezos said. They are keeping the original Fire. Upgrade it. 20 percent faster. 40 percent faster overall (more RAM as well). 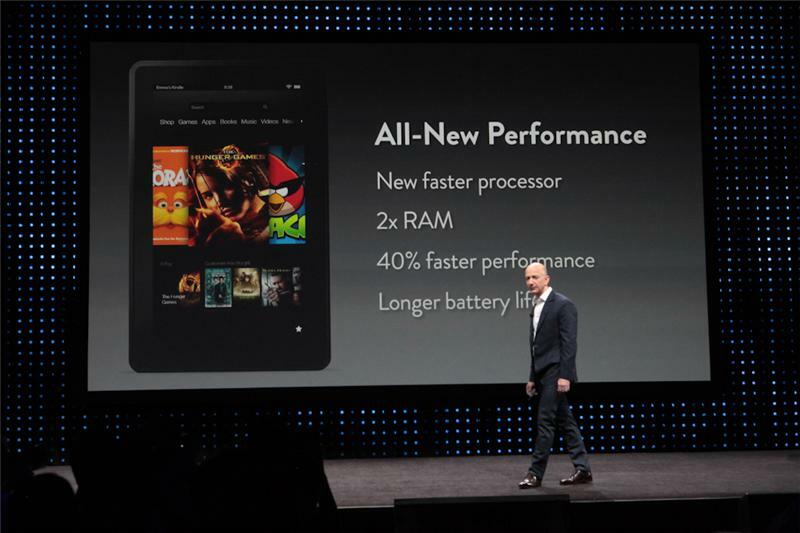 new Kindle Fire - 40% faster, longer battery. I thought it would be $149. Ships 9/14. Wow. There is a big one. Showing a larger device as well. That's a bit of a surprise. The new large device is 8.9 inches. It's a big Fire. 8.9-inch display. And the pictures of the device seem to show a camera, which the current Fire doesn't have.